Properties in Canton of Bern average 4.6 out of 5 stars. Property 7: Cozy apartment with beautiful views, quiet location. Cozy, Charming Lake View Apartment In Swiss Chalet. ★★ ★★ Stars certified. Property 14: Cozy, Charming Lake View Apartment In Swiss Chalet. ★★ ★★ Stars certified. 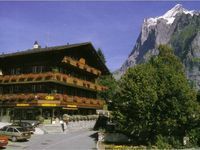 Property 15: Top location for all activities in and around Grindelwald! Property 21: Holiday-Apartment in Swiss chalet, in the valley of waterfalls. 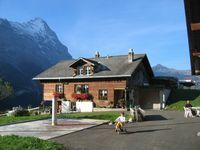 Property 24: family-friendly apartment near Spiez u. Interlaken, max. 4 Ext. / 1 ​​Ki. Penthouse with spectacular views. Sleeps 8. Property 28: Penthouse with spectacular views. Sleeps 8. Property 46: A holiday home for 5 people on a farm in the countryside.